From cars to refrigerators, it seems as if every new piece of tech is connected to the Internet. For better or for worse, we’re deep into the “Internet of Things”. But what about your camera? No, not the camera in your smartphone; that one’s already connected to the Internet and selling your secrets to the highest bidder. Don’t you think your trusty DSLR could be improved by an infusion of Wide Area Networking? Regardless of what you’re answer to that question might be, [Thomas Kittredge] decided his life would be improved by making his beloved Canon EOS Rebel T6 an honorary member of the Internet of Things. Truth be told he says that he hasn’t quite figured out an application for this project. But since he was looking to mess around with both the LTE-enabled Particle Boron development board and designing his own PCB for professional production, this seemed a good a way to get his feet wet as any. The resulting board is a fairly simple “shield” for the Particle Boron that let’s [Thomas] trigger up to two cameras remotely over the Internet or locally with Bluetooth. If LTE isn’t your sort of thing though, don’t worry. 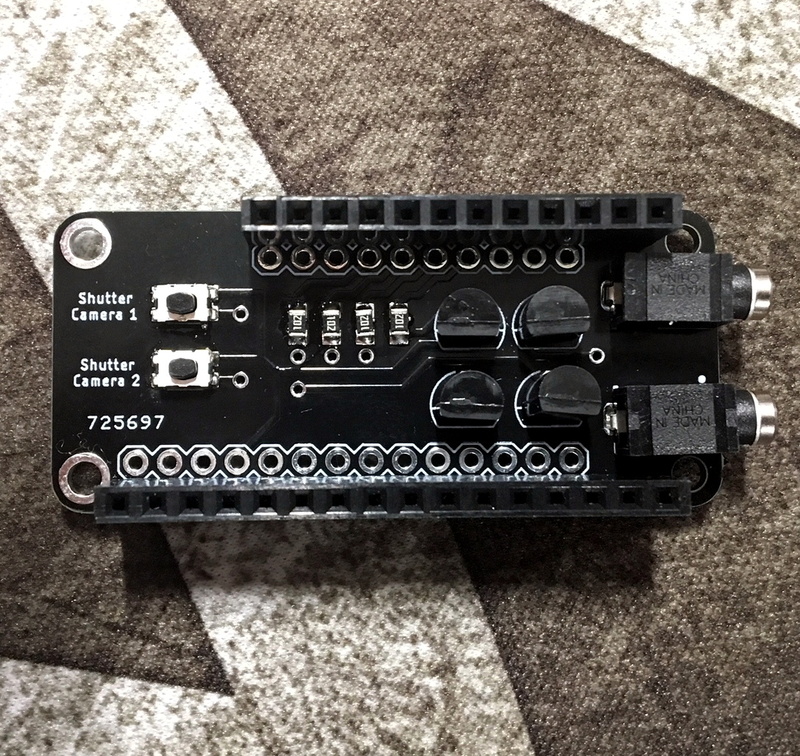 Since the Boron follows the Adafruit Feather specification, there’s a whole collection of development boards with various connectivity options that this little add-on can be used with. In the GitHub repository, [Thomas] has put up the files for the PCB, the STLs for the 3D printed enclosure, and of course the firmware source code to load onto the Particle board. He currently has code to expose the two shutter triggers as functions the the Particle Cloud API, as well as a practical example that fires off the camera when specific words are used in a Slack channel. Out for a little over a year, the Particle Boron is a fairly new addition to the world of cellular development boards. Historically we haven’t seen a whole lot of cellular capable projects, likely because it’s been such a hassle to get them online, but with new boards like the Boron we might start seeing an uptick in the random pieces of gear that have this form connectivity and an internet-facing IP address. Surely nothing bad could come of this! Correction, the Boron (and other 2 mesh network particle boars) were annouced over a year ago, but only started shipping a few months back. “Out for a little over a year […]”? You might want to double-check that. Most of us who pre-ordered only got our Particle Mesh devices in late November. And the firmware is currently pretty usable, but not quite feature-complete yet (for example, communication for the local mesh and to the cloud or local tcp/udp work fine, but we’re still waiting for low-power modes and BLE API support in the new gen3 devices — those should be coming pretty soon, though). That said, if you want easy-to-use APIs, it’s hard to go wrong with Particle’s ecosystem. How funny to have stumbled across this blog post!